One of my relatives built his own entry to Indianapolis and drove it to 10th place... winning $800! 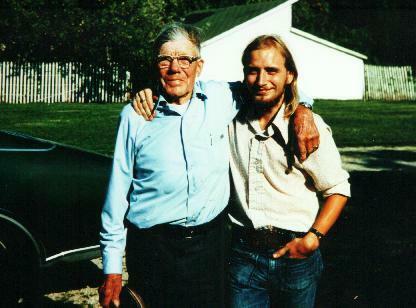 This is me with my grandfather's cousin, Swan Osteweg, in 1975. 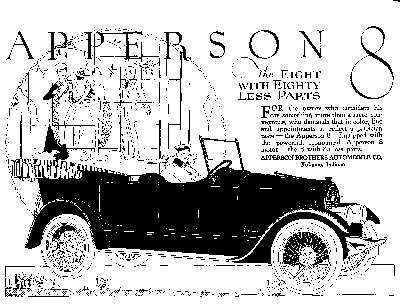 Back before the First World War, Swan was an agent for Apperson Jackrabbit cars, in a small town where he was probably the only car owner (Lee, Illinois). 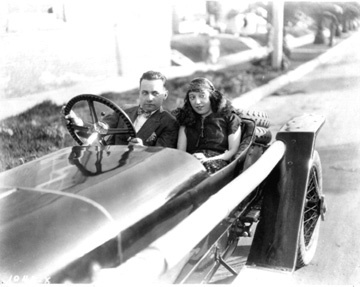 In 1916, he modified one of his cars and took it to the Indianapolis 500 (actually, it was shortened to 300 miles because of the war)... he hired a driver named Ora Haibe, who quit midway through the race due to difficult steering... so Swan got in the car himself and finished the race. 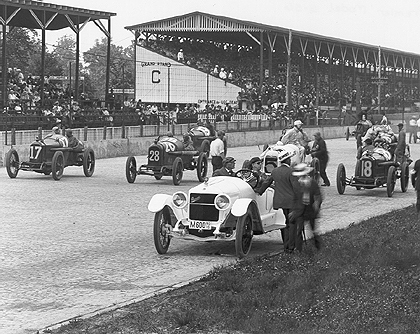 Starting 13th on the grid, the Osteweg Special finished 10th, winning $800 in prize money. So what in the heck is an Apperson Jackrabbit? They tell me this is one. 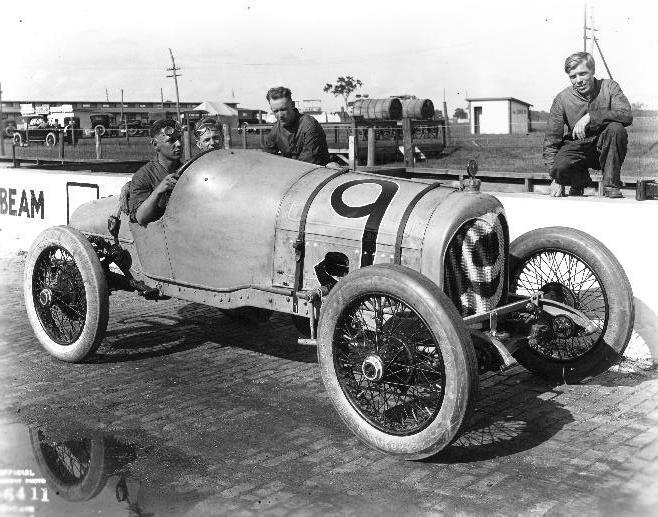 They were quite sporty in the pre-WWI days, and apparently they were one of the first sports cars to evoke the name of a swift animal in its name (doesn't quite have the same ring as "Jaguar" though). 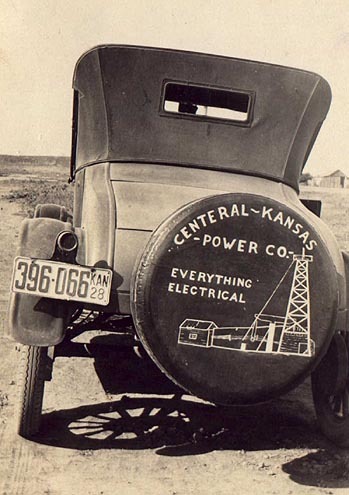 Here's a photo of another Jackrabbit, which belonged to Ernest McClain of Dickinson County, Kansas. Many thanks to his great-granddaughter Jacki for sending me this photo.